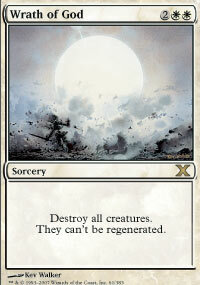 Preview card articles for reprint sets are hard to write. The card typically had a preview article written about it already, but after looking, trying to find a preview article about a card originally printed in 2002 is a fool's errand. 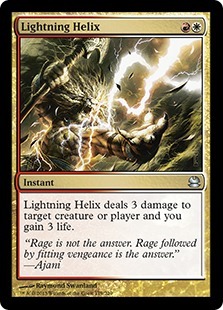 These cards have typically seen some Standard play, and in this case was recently reprinted as a Story Spotlight in Amonkhet. It's fresh, and we know how good the card is. 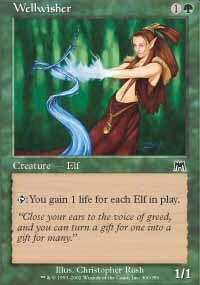 While the easy way out would be to just throw up the card art, say some words about how it is great in Limited and move on, I wanted to take a chance to tell a bit of a story, because this card means a bit to me, as it was partially responsible for the majority of my Magic success. Back in 2002, I decided that I was going to put a real effort into something besides local play. I was out of college, unemployed, and really drifting after dropping out of school. I was aimless, and Magic was going to give me a goal to reach. That goal was the Pro Tour, and I thought it was one that I could reach. Part of that was I thought I was better than I actually was and another part was because when I worked towards something that I cared about, I rarely failed. I supported myself off of tournament winnings and writing for Scrye Magazine, and honestly it wasn't bad. I got to travel and make a lot of friends, and I look back at that period fondly. I have great friends to this day that I made because of playing Magic, and I wouldn't trade that for anything. Coinciding with my dedication to Magic was the release of Onslaught. This tribal set excited a lot of people, some for the fetchlands, others for the cool tribal cards like Goblin Piledriver , Wellwisher , or Rotlung Reanimator . 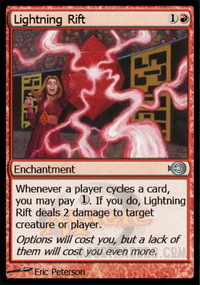 Nostalgia played a part for some, callbacks to Ball Lightning (Blistering Firecat ) and Juzam Djinn (Grinning Demon ) were in the set, but for me cycling coming back was huge. 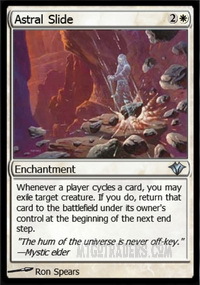 It was one of the first mechanics that I ever really loved and this time it came back with cool effects and build around us cards! Astral Slide and Lightning Rift were cards that I knew I was going to play for a long time, and for a few years, no matter where I went, be it a poorly lit basement at a local bookstore for tournaments, to the Marriott Renaissance Center Hotel in Detroit, Astral Slide control was with me. 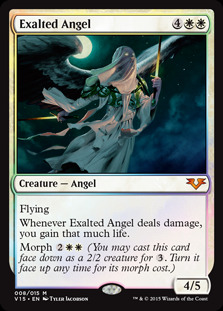 The power of cards like these enchantments backed up with morph synergies in Exalted Angel and enters the battlefield effects like Staunch Defenders and later Solemn Simulacrum was nothing short of a good time for me! For the most part my dedication to Magic was not really paying off though. Sure I could take down local events and still be, I guess comfortable, which was nice, but I was not converting that to success at Grand Prix. I played some form of Astral Slide throughout Block Constructed season for the PTQs, but didn't top eight until I switched to a Blue White version later in the season. At Grand Prix Detroit, I failed to make day two, while a friend of mine went undefeated on day one with Teen Girl Squad. 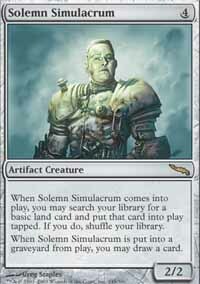 If you knew that Teen Girl Squad was a mono white control deck, then you played back then. 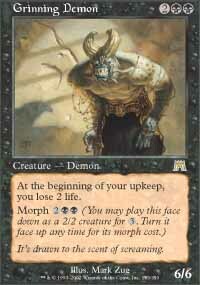 Otherwise, Magic deck names used to be incredibly terrible. Grand Prix Atlanta would be the next event, and the second time since Astral Slide was legal that I didn't play it in an important event. 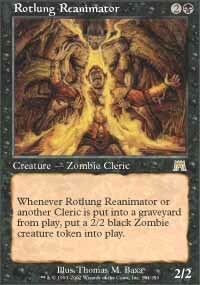 After finishing up the Onslaught Block Constructed season with a PTQ top eight with Blue White Slide, I took BR Reanimator to Atlanta. 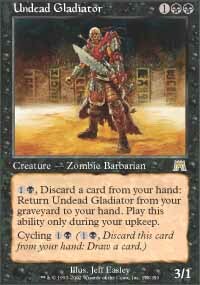 I wanted to have some fun, and I really liked Undead Gladiator (Yet another reprint in Masters 25). 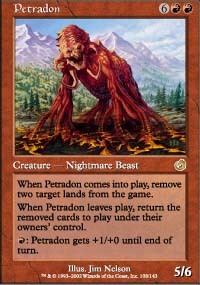 Reanimating things to me, even in a convoluted way that included Anger , Doomed Necromancer , and something like Petradon was a great way to spend the weekend, and I even got a day two out of it! 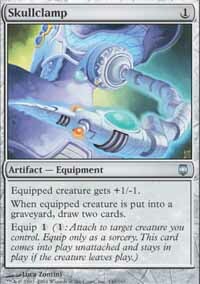 At the time I didn't know that I was going to run hotter than the sun for the rest of 2003, but when the GP was over, Mirrodin became the hot new thing, and with the new set, it meant saying goodbye to OTJ block and hello to some new busted artifacts. 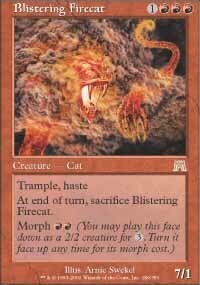 Linear aggro strategies, like Affinity, are not a thing that I, well, have an affinity for, so it was back to good old Astral Slide as my Standard deck of choice. We figured Affinity, Goblin Bidding, and Slide would be the decks to look out for for the new Standard format and went to work on beating those three decks. We had incredible tools in the format still. 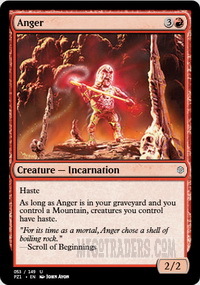 Wrath of God was legal and would help buy time until our enchantments were online and our cycling engine started to gain us incredible card advantage. 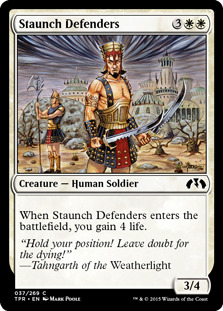 Staunch Defenders played well with Slide, and helped us stay alive until we could cast Akroma's Vengeance, making the Affinity players sad that they didn't have Arcbound Ravager and Skullclamp already printed. 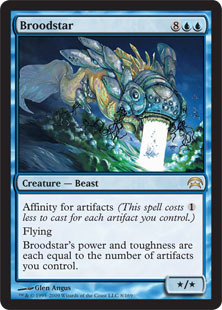 Can you believe that Broodstar was once the pay off to successful Affinity decks? 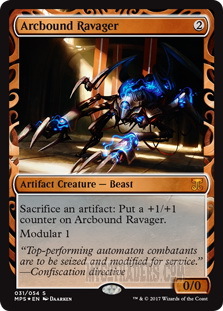 That beast hit like a dang truck, but when compared to Ravager it just wasn't good enough. We still needed a way to give ourselves a bit of breathing room though. 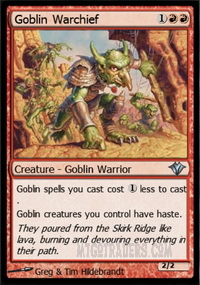 Spark Spray did a lot of work against the Goblin decks, but sometimes we needed a bit more life before we could cast our Wrath. Something that gained six or so seemed to be like a good amount of life, but if it could cycle, that would be even better, so we could take advantage of our Rifts and Slides. Okay, I have dragged this on for about as long as I can. I don't know what makes art great, but I feel like Steve Argyle did a terrific job here. The stained glass to me, as someone who was raised religious really hits the faith part of this card. That's about all the art critiquing that I can do. Remembering Renewed Faith made the deck a ton better, and gave us the breathing room we needed against the aggro decks of the day. 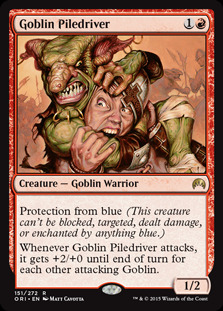 Affinity wasn't quite as fast yet thanks to Darksteel not existing at the time, and Goblin Bidding could be managed as long as we focused on the Goblin Piledriver s. Without Goblin Warchief the deck didn't have the haste threat, but still promised incredible beatdowns. I built a copy of this deck for myself and another for a friend, and we both top eighted States that year. The money we split from that event paid for me to randomly go to New Orleans for the Pro Tour the next weekend, in a trip that I originally was not going to go to, but then decided to pack a bag for and hitch a ride with friends who were qualified, which led to me playing in the Last Chance Qualifier, which I top foured and qualified for the Pro Tour with. 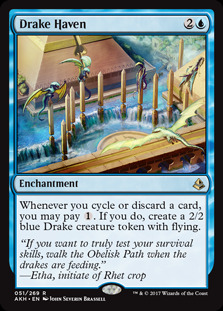 While it was reprinted in Amonkhet and had toys to play with in Drake Haven , the reprint did not see the kind of play that it did in its first go round of Standard. 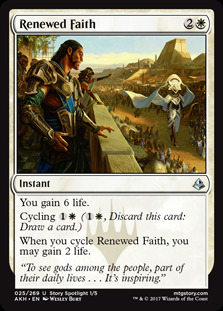 Renewed Faith is a very good card though, and throughout it's time in multiple Standard formats saved plenty of creatures from the graveyard by protecting them with Astral Slide, or became the original Lightning Helix when combined with Lightning Rift. It's been responsible for making Drakes and showed me that I could hang at higher than a local level. Masters 25 comes to MTGO and paper on March 16th! Wow that art is amazing!!!!!!!!!!!!!!!! Steve has gotten only better over the years. 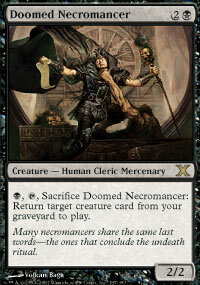 This is reminiscent of Q Hoover and other iconic mtg artists. Love the card and loved the article. 'Teen Girl Squad' was actually the very first actually competitive deck I ever built back in the day. Good memories. It was a really good deck, and a lot of fun in block. It just happened to be badly positioned at the last gp of the season. 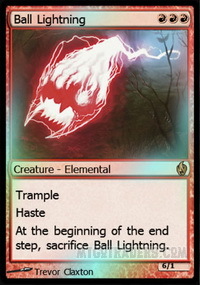 the slideless slide and bad form decks were just so much better than Dawn Elemental.